Before I saw the film in theaters, I hadn't really seen any trailers for Wind River. I knew it was a murder mystery starring Jeremy Renner and Elizabeth Olsen, and that's about it. This happens a couple of times each year, where I go into a movie pretty much blind. And it can be a lot of fun. I'm so used to being overly inundated with endless trailers for giant blockbuster movies that it is nice to be able to just walk into a movie knowing practically nothing about it. It usually ends up being a rewarding experience. So I went into this film blind, and I actually rather enjoyed it. 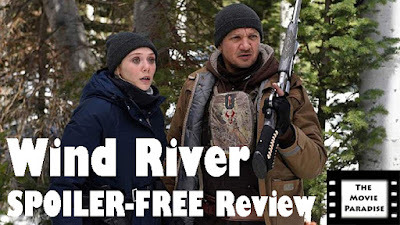 Despite some pacing issues and a meandering second act, Wind River is a compelling, solid movie that has good performances and great tension, rather effectively doing its job in being entertaining. A hunter (Renner) and an FBI agent (Olsen) have to work together in order to solve the murder of a young girl. This is the directorial debut of Sicario and Hell or High Water writer Taylor Sheridan, and you can certainly tell it was done by the same guy who did those movies. It has the same visceral, gritty feel as the aforementioned films. It's a gorgeous looking movie, with beautiful cinematography that fully realizes its luscious wilderness backdrop. One of the movie's strongest aspects is its atmosphere. For a first time director, Sheridan does a great job at building the world around the film, and it probably comes from his well written screenplay. I wouldn't say it's as well written as Sicario or Hell or High Water, but it is really a solid screenplay. Stemming from that screenplay, and realized through the direction, is the tension. Wind River does an excellent job with escalating tension, and making it feel palpable. I won't go into details, as not to spoil the film, but there are certain scenes where the tension continuously builds and builds, and you're on the edge of your seat the entire time! This begins in the screenplay, but it cannot work unless the director follows through on it. This shows that Sheridan is a truly competent director. I'll get into my problems with the film later, but I found the first and the third acts to be great. The set-up and the pay-off were both really strong. All the background building in the beginning really drew me in and got me hooked on the story. And everything that happens in the end was emotionally satisfying. But the writing, the cinematography, the direction, and the atmosphere, done in the first and third acts, are all really quite extraordinary. Where this movie loses me is with the second act. It felt like Sheridan knew where he wanted the story to begin and where he wanted it to end, but he didn't know what to do in the meantime. Had this movie been only an hour long, I think it would have been a lot more effective. You wouldn't have to add a bunch of fluff in order to extend the runtime. You could set everything up and then resolve it all rather quickly and efficiently. But there is a second act that does drag on a while. Not much happens, and it really does feel like Sheridan was just biding his time until he got to the third act. This weak second act comes not just from the screenplay, but from the pacing. Again, there was strong pacing in the first and third acts. But it was weak in the second act, which dampened the movie as a whole. I also had some problems with Elizabeth Olsen's character. She gave a very good performance, but I never believed her to actually be an FBI agent. The people around her seemed to know a lot more about how to do her job than she did, and she seemed rather clueless. It stood out and bothered me, as it did take me out of the movie. I thought Olsen did a good job with her performance, but the writing of her character was rather weak and ill-informed. 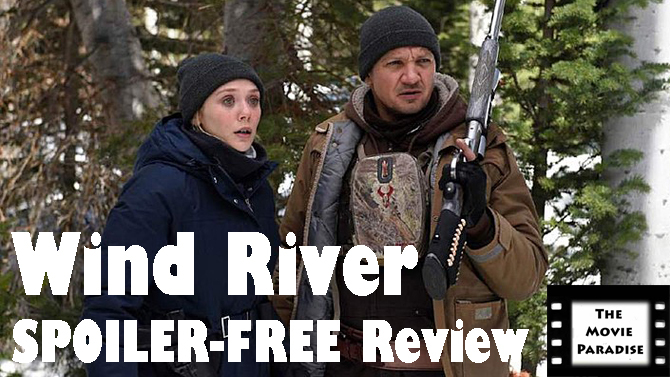 Overall, Wind River has a great first and third act that is unfortunately sullied by a weak second act. Writer/director Taylor Sheridan does a great job with building atmosphere and tension. I thought he did a really solid job in putting all the pieces into place, and setting it all up. I also thought he did equally as good a job with resolving everything, and bringing it to a conclusion. Where the film struggled was with the second act, that kind of dragged on. Nothing substantial really occurred during this time, and it felt like the movie was stalling until it reached the third act. The performances across the board were really good, but nothing exactly stood out to me. They were all simply serviceable. While Elizabeth Olsen's performance was good, I thought her character was poorly written. She came across as incompetent, and didn't speak or act like how a real FBI agent would. While this is kind of a minuscule issue, she is one of the main characters, and it took me out of the film. 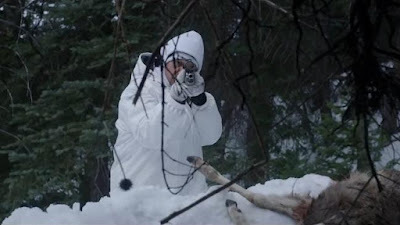 In the end, Wind River has great visuals and is well written, but its meandering second act does bring it down a few notches for me. What do you think? 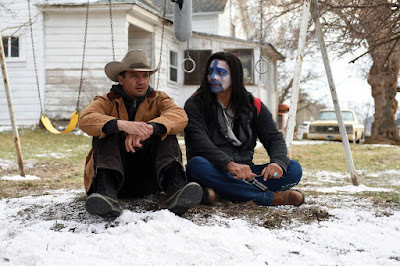 Have you seen Wind River? Did you like the film? Leave your (spoiler-free) thoughts in the comments section below.